Do you encourage your family to recycle? The latest statistics from The Ad Council have shown that the recycling message is still not getting through to everyone. Their statistics indicate that only 45% of Americans have a recycling bin in the kitchen and a staggering 10% have them in the bathroom. Kids craft activities are a perfect opportunity to reuse items that would otherwise be thrown away. So many items can be made from egg cartons, milk bottles, cereal boxes, soda bottles and just about everything that goes into your recycling bin. 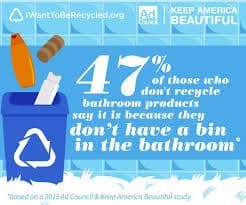 Keep America Beautiful has recently launched the #BeRecycled campaign and we would love to help. 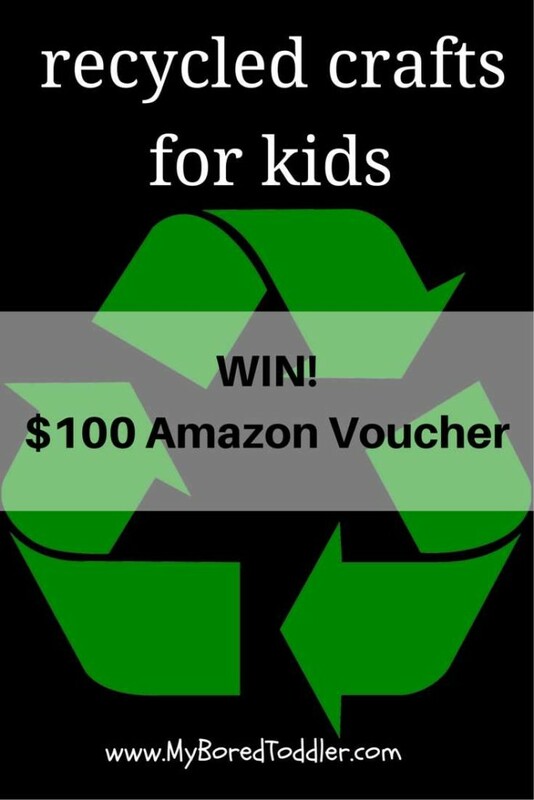 I have decided to challenge everyone to share your favorite activities for kids using recycled items. I have created a group Pinterest Board called ‘Recycled Crafts for Kids’ and would love you to join and share as many activities as you can that focus on reusing or recycling household items. There are already some great recycling ideas on the board but I would love to see so many more! If you would like to be a contributor to the board please send me a request (you will need to be following My Bored Toddler on Pinterest first). I will share all of the ideas on Facebook and Twitter over the next few weeks. If you are looking for more information about recycling, The Ad Council and Keep America Beautiful have some great resources as part of their #BeRecycled campaign and these can be found on their website www.iwanttoberecycled.org They are also giving away a $100 Amazon Gift Voucher and you can find the entry details below.